Members of the All Progressives Congress (APC) in Kwara State today, affirmed their support for President Muhammadu Buhari re-election as the party held its presidential primary nationwide. In Kwara State, the Chief Returning Office, Alhaji Lai Mohammed, Hon. Minister of Information and Culture coordinated the exercise. In his words, Kwara State APC Chairman, Hon. 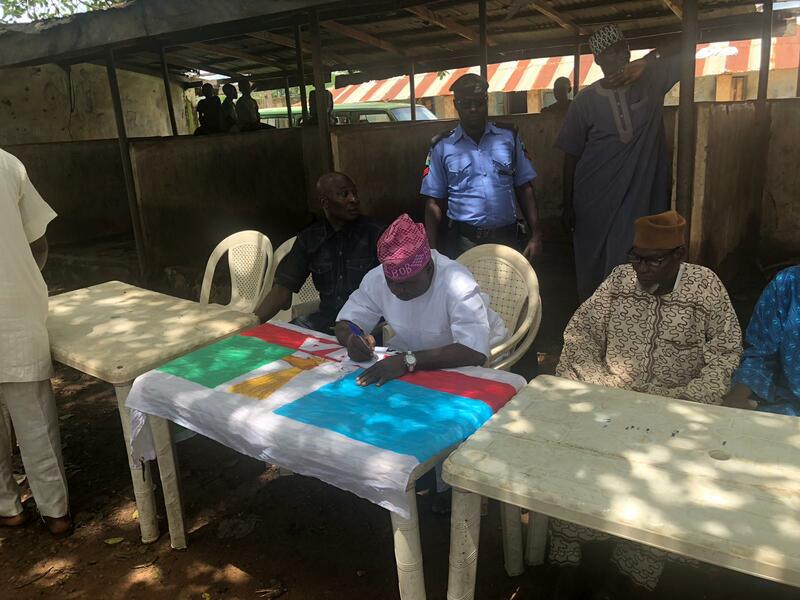 Bashir Bolarinwa who voted in his ward, Agunjin in Ifelodun Local Government Area of the State commended members of his party for their commitment and steadfastness. "This exercise has allowed our members to express their willingness to see President Buahari in the saddle beyond 2019. "I can assure you, the party is waxing stronger everyday in Kwara State. We are determined to scale all artificial hurdles that are placed before us".